I believe that the men's BBall team is taking a lot of the spotlight off of Holly and her pisspoor coaching job. - Holly’s normal reaction to her team underperforming. At what point does a person who is honest with herself step back and admit that she is in way over her head, and by staying is destroying something that was truly special? How far do the Lady Vols have to fall before we can rid ourselves of this mediocre coach? I didn't see the game, but it was supposedly close through 3 quarters (At least that's what Holly made it sound like)? With the final score being 91-63, the LV's must have completely took the 4th quarter off. They were shooting the ball pretty well through 3 quarters (particularly Rennia) but they fell apart offensively and defensively in the 4th. The whole game was a yo-yo. The Lvs would fall back 8 to 12 points and then make a run to get close. In the fourth, they had no runs left and the gap went from 6 to 20 really quick. sadly ... she doesn't . 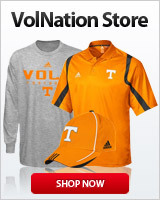 if warlick truly loved Pat and Tennessee she would have resigned a long time ago. she will be disliked more than butch jones before this is all over. She would need to improve to be "mediocre".